Cleardata is the first company in Europe to invest in Kodak’s i5800 production scanner. The new scanning technology, ideal for the document scanning bureau environment, captures 420 images per minute with advanced image features. It’s perfect for bulk volume scanning work such as digital mailroom, invoice scanning and insurance claims capture. 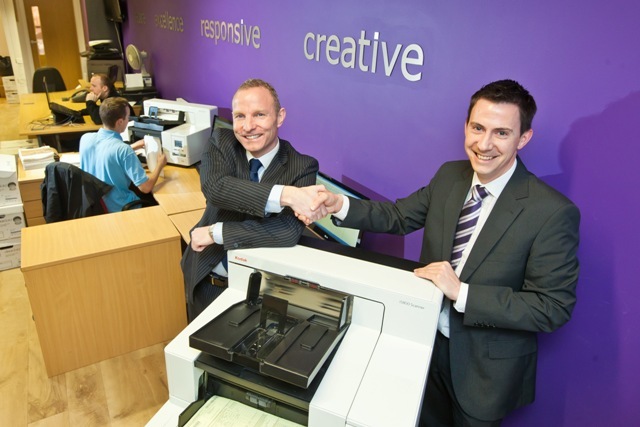 Pictured (left) David Bryce, Managing Director, Cleardata and (right) Steven Keating, Distribution Sales Manager, Kodak. Cleardata has been awarded BSI’s ISO27001 accreditation – the highest accreditation for Information Security Management Systems. As a comprehensive provider of document scanning and management solutions, Cleardata helps companies of all types keep their records and information secure, while lowering costs and freeing up space. 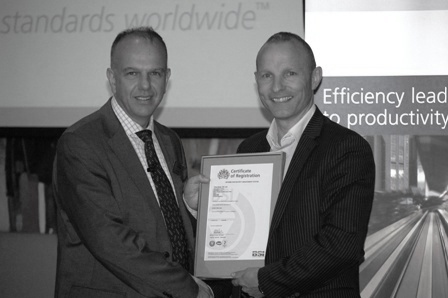 The award from the BSI shows that information security is central to everything that Cleardata does. Document scanning, secure archive storage and online document management solutions, together with intelligent data capture are all provided by Cleardata. The accreditation will provide further reassurance to clients who use Cleardata’s document scanning services. For businesses and organisations within finance, the NHS and other healthcare establishments, public and IT sectors, Cleardata’s ability to ensure data is secure is of the highest importance. The ISO27001 accreditation demonstrates Cleardata’s capacity for handling documents using Information Security Management Systems. It also demonstrates that the company has implemented the required processes in its operation, monitoring, maintenance and improvement procedures. Managing Director of Cleardata, David Bryce, said: “This accreditation gives our customers absolute confidence that our business will protect their data to the highest standards and the knowledge that this is audited by an independent body. 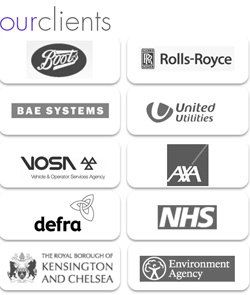 The use of BSI, a brand that is synonymous with British Standards was an important factor in the choice of our auditors. Cleardata, one of the UK's largest document scanning bureau's is exhibiting at this year's Newcastle Business Exchange Exhibition. The company is holding a document clinic to promote how businesses can free valuable office space, reduce costs and improve business efficiencies through effective document management. Cleardata provides a one stop shop for paperless business solutions including document scanning bureau services, offsite document storage with fast digital retrieval, data entry, document management software, invoice processing software, online hosted document solutions and pda systems for remote field based staff. David Bryce, Managing Director said "Cleardata is focusing on a range of cost saving solutions for businesses. In the current climate every business should be reviewing their operational costs, to assess areas where efficiencies can be made." Cleardata Scanning, part of the Cleardata UK Ltd group, has launched its new document scanning website. Cleardata is one of the largest document scanning bureaus in the UK and scans more than 24 million documents per annum, using the latest Kodak document scanning technology. The company, previously known as UK Digital Storage has document scanning experience dating back to 1978.